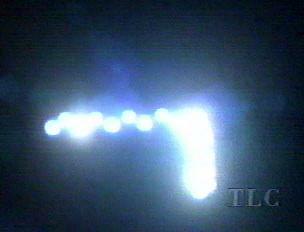 The V-shaped light formation seen by four Texas Tech professors in August 1951 was actually seen first by a man in Albuquerque, New Mexico only 15 minutes earlier. This V formation that everyone was seeing over Lubbock for a few weeks was explained away as the light of mercury street lamps reflecting off of the feathers of plover birds. But a 1951 photograph, taken by Texas Tech freshman Carl Hart, Jr., showed that this V formation was quite rigid and too symmetric. It did not resemble a loose flight of birds winging its way across the sky. Plover don't flock like this anyway. Several video clips shot throughout 1999 (by one of the same Texas Tech professors who originally saw the lights in 1951) aired on The Learning Channel in February of 2000. 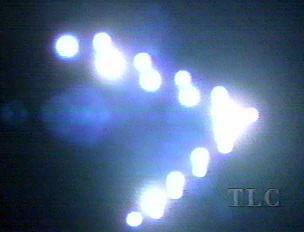 The video clips clearly depict a structured vehicle as the source of those lights! 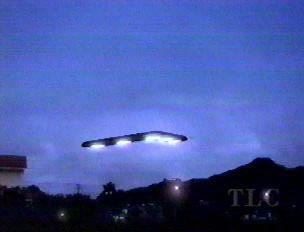 Those who remember the original sightings agree that these 1999 video images are indeed that same object(s) they witnessed over Lubbock in 1951. Officials at Kirtland AFB finally released information that does admit that they were testing an experimental V-Wing craft in 1951. Many of those involved with similar air force projects elsewhere claim that nobody in the U.S. could build such a large craft in 1951 that could have flown that high for that long...let alone move that fast! 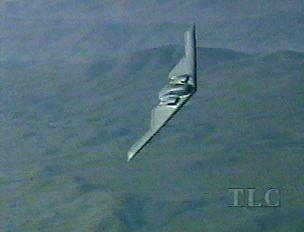 The flying wing in the 1999 video was analyzed as being larger than any planes in existence in 1951. 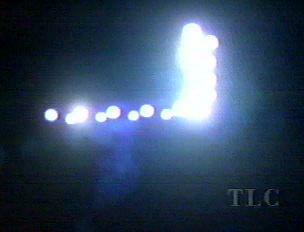 It is hypothesized by conspiracy theorists that the Lubbocks Lights are either an American-made vehicle reverse-engineered from an alien craft OR that the vehicle IS indeed an alien craft itself! 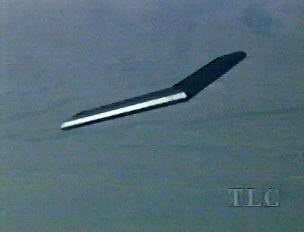 It is believed that the U.S. was still testing this craft in 1999...either that or the aliens have returned!